RIDICULOUSLY charismatic and slyly cool, London quartet Maui have been taking full advantage of the au courant do-it-yourself ideology. Starting life back in 2013, the lads have already blagged a spot at this years Trailerpark Festival in Copenhagen. 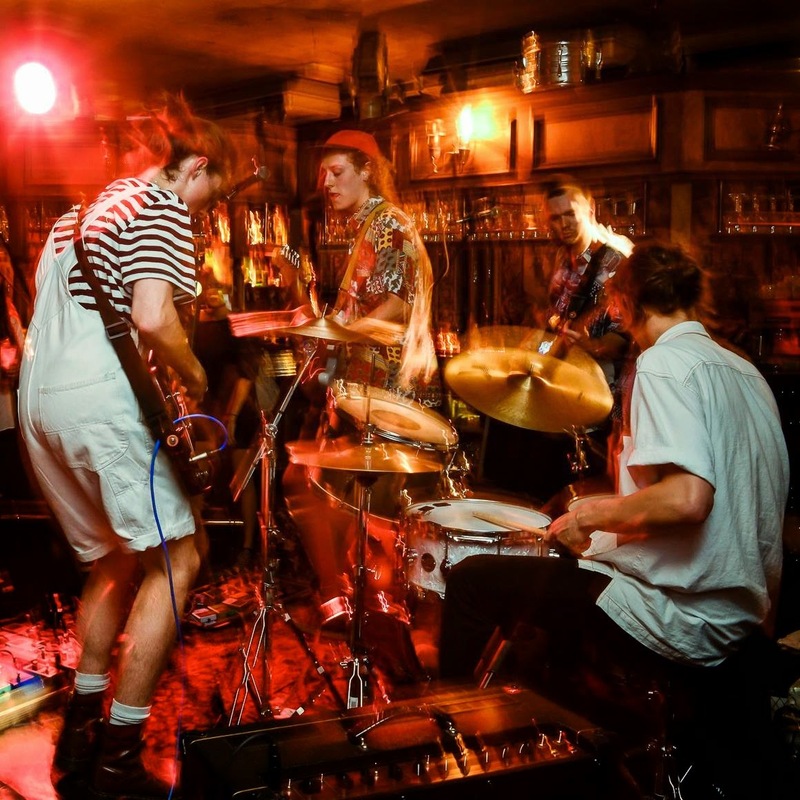 Flaunting brit-pop beats combined with the most honourable squeaky scuzz accompaniment, Maui have channelled their inner wildlings to create tracks so vibrantly vivid and greatly jubilant. Their latest EP 'Ode To The Sun' is the epitome of the latest craze of alternative music - arguably ripping into the likes of Peace and Swim Deep with almighty force to only create the most alluring surrogate to the docile substitutes. One track in particular caught our eye - 'Fine kind Of Idle'. The beat carries this unreal simplicity which sparks the introduction, slightly bathing the instrumental in a dry rum whilst front man Harry Edwards basks within his light-hearted vocality, shrilling through the warmth of rhythm guitar and hooking of the bass. Finding its own groove, our feet tap away at the festive jolt, fully falling for the capricious ideology the track has been built upon. Slowing yet progressing with each deliciously gratifying creak - embracing this whole new world underground. Of all the names for yourselves what stood out about Maui? Harry suggested the name 'Maui'. We all liked how it made us feel happy inside and it reminded us of basking in the sweet sweet sunshine. It refers to a New Zealand god called Māui who fished the entire north island out of the sea, rather than referring to the Hawaiian island of Maui. What's a typical Maui crowd like? A typical Maui crowd consists of all sorts of creepy crawlies and lots of free-spirited, like-minded folk looking for a quick sun-soaked aural fix. If we took you all into a record shop, and you could have any one vinyl you could possibly dream of what would you choose and why? In this hypothetical record shop you speak of, the one vinyl we would buy would be the original 1978 7" single release of Chic's "Everybody Dance". What are your feelings on the tracks you have out now, do you think they capture the sound you wanted to create? The tracks we have released so far capture us in a point in time, like a picture of a newborn baby. We have grown since and will continue to grow until we are all very very fat. And the new songs will also be morbidly obese. Is the London underground scene difficult to get into? The London Underground scene unfortunately does not have a clearly marked entrance. But we've met a lot of bands that we like, such as Two Bottle Jump, Netil and Lovepark. Together we can all keep looking for it. Maui has an extremely strict style regime. It has 2 rules. Rule 1: Be fabulous like the majestic Peacock Rule 2: Wear dungarees at all times. Do you all share 'pet hates' of eachother? We don't have any pet hates for one another really, apart from the fact we all hate our drummer, Mark because he is a really awful friend. If you could go back before Maui, would you change the way you came to be today? If we could go back in time and change Maui for the better we would probably want to get plastic surgery so when we did our first gig we all looked identical, and more like the dogs we are. You're playing Trailerpark festival in Copenhagen in August, are you hoping to maybe slot some more shows into your trip? Yes! We definitely want to slot in some more shows when we play Trailerpark festival in Copenhagen. Big Bad Band Road Trip! Finally, we're going twenty years into the future, what is Maui doing? Finally, 20 years from now Maui will have a rich collection of bright memories to draw from. But either Sam or Charlie will have lost their minds, and Mark will have an extremely bad drug problem. Harry, however, will have installed those robot-kangeroo legs, which became really popular around 2030.